ከሲዳማ ጥያቄ ጋር ተያይዞ ለሚደረግ የትኛውም አይነት ድርደር ከሲድማ ኤጄቶች የተሰጠ የአቋም መግለጫ! The Council of South Ethiopia Region Should Announce the Date of the Sidama Referendum Immediately! The Sidama nation unanimously demanded the restoration of its national regional self-administration on 18 July 2018. In accordance with articles 47 (2) and (3) of the constitution of Federal Democratic Republic of Ethiopia (FDRE) and articles 32 (2) of the law establishing the election board of Ethiopia, the Council of South Ethiopia Region is mandated to organise the referendum within 12 months of receiving the demand for the creation of the Sidama national regional state after the decision has been endorsed by two-thirds of the Sidama council. Seven months have elapsed since the demand has been handed to the South Ethiopia Council without fixing a date. The enemies of both Oromo and Sidama nation are attacking the Sidama people in the outskirt of Hawassa areas bordering Oromia and Sidama to put blame on Oromo nation with objetibve of igniting conflict. The Sidama nation knows who its enemy is and who its foes are. Both the Oromo and Sidama nations have no issue that sets them to fight apart from vowing to fight their common enemies. Unless elements from all directions and within are involved to instigate conflict after conflict; both nations never be involved in such divisive actions. ...Unionists who aspire maintaining their grip over the Sidama land whilst the Sidama people are kept at bay always shown sign of anti-Sidama tendency with the rest of elites who are always prepared to do whatever they can to inflict pain on Sidama whilst benefiting from its wealth and resources. 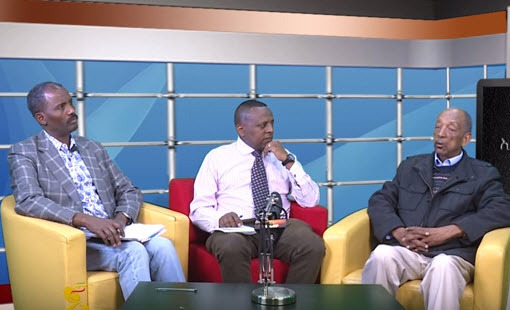 The leaders of both Sidama liberation organisationsmet to undertake thorough discussion on national cause of the nation on October 18, 2018 in Hawassa. The SNLF returned to Ethiopia on the 4th of October 2018 to be part of peaceful political process in Ethiopia as per the call of theEthiopian new Prime Minister Dr Abiy Ahmed’. The leadership of both organisations thoroughly discussed that their objective is defending the national interest of the Sidama nation. Hence, agreement has been reached that working together is of paramount importance to achieve this objective. Cognizant of genuine interest and increased resolve of the new EPRDF’s leadership; and our partners’ collective and individual decision to be part of the new peaceful political process in Ethiopia to be able to devise a strategy for the future of the country together; we the SNLF leadership and members are also convinced that it is a timely call to be its part. SNLF Congratulates SLM for effectively Electing its True Leaders whilst Categorically Condemning Mr Dejene Woldeamanule’s Anti-Sidama Plots. The SNLF Press Statement on Anti-Sidama Elements’ Attempt to hijack the Sidama Struggle. The Southern Ethiopia nations and nationalities regional State (SNNPRS) has been established by illegally dismantling the previous 5 independent regional States at the end of 1992. The Sidama nation has been one of the 5 independent regional states under region 8, which included Gedeo and Burji. The Sidama nation vehemently opposed the amalgamation of the 56 nations and nationalities under one unconstitutional regional arrangement by the TPLF/EPRDF’s regime from the very beginning. The SNLF Accepts a Call of the New Ethiopian PM for A Peaceful Political Dialogue in Ethiopia. The Sidama National Liberation Front (SNLF) accepts the call of the Ethiopia’s New PM Dr Abiy Ahmed’s government for joining a peaceful and all-inclusive political dialogue in the country. After carefully considering his government’s genuine call and the progress thus far achieved under his leadership albeit serious challenges; we observed the peoples of the country fairly feeling relieved. All peoples in Ethiopia from corner to corner are breathing a sigh of relief since the new PM has assumed his position in early April 2018. Furthermore, the majority of the stakeholders also have shown clear intention on unanimously agreeing, (apart from those who have increasingly benefited from the suffering of the majority peoples of Ethiopia for the last 27 years) to positively respond to his calls thereby support the process of democratisation and country rebuilding in unison. Therefore, the SNLF agrees to be part of the process that brings justice, freedom, equality and fairness for all peoples in Ethiopia. Cognizant of genuine interest and increased resolve of the new EPRDF’s leadership; and our partners’ collective and individual decision to be part of the new peaceful and all-inclusive process in Ethiopia to be able to devise a strategy for the future of the country in unison, we as an SNLF are also convinced that it imperative to be part of a peaceful political process in Ethiopia. Therefore, we agree to put aside the other means from today onward, but peacefully engaging in Ethiopian political dialogue. Therefore, finally we call up on the Ethiopian Dr Abiy Ahmed’s government to facilitate the necessary preconditions for SNLF to be part of the peaceful political process in order to support these to be practicable in Sidama and the wider Ethiopia with all stakeholders. Sidama’s National Quest for Regional Self-Administration Won’t Be Sabotaged by SNNPRS’s Plots! Press Statement by Sidama National Liberation Front (SNLF). It came to our attention that, on early hours of August 04, 2018 the Ethiopian federal government has sent its military forces that suddenly attacked and took over Ogaden Somali regional capital, Jijiiga. Subsequently, our member, the ONLF in its 04 August 2018 statement has recorded its serious concern about the motives and contradictory actions of federal government, the life and material costs this may involve if it is not imme-diately halted. The Vilification of Sidama Nation By TPLF, Its Deheden and Wolayta Agents Is Categorically Deplorable!! The Sidama nation is a peace loving nation that has lived in peace and harmony with all Ethiopians for centuries. Sidama is home to tens of thousands of other Ethiopians. No time in history of Sidama have any other Ethiopians living in Sidama been discriminated or attacked by the Sidama nation. There are numerous witnesses living in Sidama today attesting about the peace loving nature of the Sidama people with those who share their land. We Send Our Deepest and Heart-Felt Condolences to the Families of the Sidama Mudslide Victims! It came to our attention that since May 26, 2018, a heavy rain created mudslide caused the unsettling death of over 25 people and the destruction of unknown numbers of domestic and wild animals in Sidama Zone of Cirre district adjacent to the Oromia. In the Oromia Arsi’s western part the unknown numbers of lives have been also reportedly lost. About 17 people and unknown numbers of animals become the subject of death resulted from the mudslide in Arbaminch of the southern regional state since Saturday. The Oromia regional state and most of the South’s several Zones have got one thing in common; deliberate marginalisation by the EPRDF/TPLF’s Federal government as their resources are exploited for the last 27 years. Further reports also indicate that the Sidama region has been hit the hardest as it is the area that was neglected by the TPLF’s government for over 2 and a half decades albeit the regime’s continual milking of its wealth and rich resources. The killers and those who have masterminded the Sidama Looqqe massacre of May 24, 2002 remain plotting to cause and are causing further damage to the Sidama nation as the nation Marks the 16 th commemorative anniversary today. To date, the Sidama nation remains relegated to the level of second citizenship in their land as the TPLF/EPRDF’s regime blatantly imposes its colonial style policy on Sidama nation in particular and the entire south in general. The sons and daughters of the nation were gunned down on the outskirt of the Sidama capital Hawassa at the village known as ‘Looqqe’ about 2 km from Hawassa, on broad day light by the TPLF/EPRDF’s army and security forces. The demonstrators met by highly mechanised brute forces of barbaric TPLF/EPRDF’s regime whilst peacefully demonstrating the regime’s denial of their constitutionally guaranteed rights to regional self-administration. The PAFD Press Statement On Ongoing State-Terrorism And Government Instigated Ethnic Con- flicts. The TPLF/EPRDF’s army and security apparatuses are wrecking mayhem throughout Ethiopia as the operation of State of Emergency intensifies with degree of unprecedented barbarism in Oromia and throughout the country, even after the new PM has been appointed by TPLF/EPRDF. The killing of dozens of unarmed civilians is also intensifying in various Oromia regional state as are the imprison- ment of civilians in Ogaden Somali since the new PM, Dr Abiy Ahmed has sworn in on April 02, 2018. 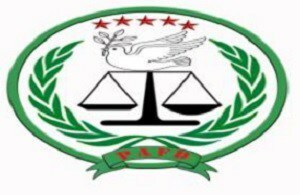 The PAFD categorically condemns with all possible terms the EPRDF/TPLF’s State terrorism in Ethiopia and urges the EPRDF/TPLF to call for an urgent transitional arrangement. The Unwarranted Attack on the Sidama Nation by the Ethiopian Satellite Television (Ethsat) Is Deplorable! Saiha lemiina lamala (27) diro gobankera Tophphiyaho dagate huuro maciishshitannokkiti, lowontanni miciirte itanno mangiste uurite gashshitanni keeshshitinnoti qaangannite. Xa yannara gobbanke aana ikkanni noore la’nummoha ikkiro, Gobba gashshootu nookkita ikkitewo, qansanose keerunni fulte loosidhe qaensara higannokki deerra iillitinno. Qoleno gobba diinunni agartanno olamaano loosonsa agurte Tigirete jawimma leelishannore loosatenni amadantinno. Konne moorunnihanna daga miccirranni loosonsa jeefo ganate wiinamu lallawa lallawisiisse keerano daga/qansaano shaate wiinantanni no. Gobbate olamaano soreeyye umi uminsaranna millansara dagate womaashsha gudhdhitanninna wole gobba qolte xooqisidhdhanni nooti baalanko xawoho. Tenne ikkitonsara aanaho, buxane baatonsanni kayise baatonsa mulqidhdhanno, olamanotenna macca qantannori gabaanni xaano ledote moorate injaansara gabbate giddo babaxinno qoqowu uurinshsha riqibinno dagara loosantenni bunshenna rewo maltarira ledo uritinnoti baalunkura manxannita di’ikkitinno. The PAFD Categorically Deplores the Massacre of Civilians in Woldya by EPRDF/TPLF’s Security! It came to our attention that, in Amhara region of Wolo Zone in Woldya town of north Ethiopia, at least 12 civilians including children and women were gunned down by a heavily armed ruling regime’s security forces and special Commando brigade known as ‘Agaazi’ on the 20th and 21st of January 2018. Over 20 civilians were also reported to be seriously wounded. Like the rest of numerous previous massacres committed by the EPRDF’s regime in the past 27 years project of State-Terrorism, the Woldya massacre seemed to be meticulously planned and executed, employing snipers who have live-shot at their targets from their previously held positions on the top of roofs. Shiferaw Shigute is one of the current Ethiopian politicians. He was one of the EPRDF officials who masterminded and carried out the Loqqee massacre in Sidama in 2002 in which Sidama peaceful protestors were mass-slaughtered in a broad light in Loqqee suburb of Hawassa town. The Oromo And Ogadeni Somali Nations Should Reject The Desperate TPLF Measures Of Divide And Rule! Press Statement by SNLF On Ongoing Massacre of Civilians in Both Regions! The Collaboration Of GPLM’s Disgraced Member With TPLF Never Hinder Its Struggle For The Rights Of Gambella People. The Gambella Peoples’ Liberation Movement (GPLM), one of the founding members of the ‘Peoples’ Alliance for freedom and Democracy’ (PAFD), remains fighting for the freedom and self-determination of its people for several decades. With the PAFD, the GPLM is also the component of an ongoing struggle for the freedom and self-determination of the wider peoples of the country. Since the TPLF regime assumed power in mid-1991, the Gambella people as the rest peoples of the country is subjected to ongoing state-terrorism. Moreover, the harrowing suffering of the Gambella people during the brutal genocide committed against them by the TPLF’s regime between 13 and 16 of December 2003, reverberates in the psyches of every person in Ethiopia. The external committee of Peoples’ Alliance for Freedom and Democracy (PAFD) held its extraordinary meeting, on the 1 st of November 2017, to discuss the current critical affairs of Ethiopia. The committee unanimously considered that, all peoples of Ethiopia including the opposition groups, operating both in Diaspora and within the country need to work together to be able to end the ongoing brutality of the TPLF’s regime to the subjects. The committee further asserted that, there are compelling arguments that need to be seriously considered at this critical juncture in the history of the country. Peoples in Ethiopia’s all angles are paying heavy prices with their precious lives. The TPLF authoritarian regime remain employing a full-scale state terrorism as a means of governance, under various pretexts. Such indefensible acts of brutalities become much harsher and pervasive than ever as the regime gasps for its final breath. We believe that, an urgent collaboration of all stakeholders is indispensable. The Sidama People Must Dismantle The “Special Militia” Discreetly Created By TPLF To Attack The Oromo Nation. The Ethiopian Empire has entered into a new phase of self-destruction under the brutal dictatorship of the Tigray Peoples Liberation Front (TPLF) camouflaged as ‘Ethiopian Peoples’ Revolutionary Democratic Front’ (EPRDF). Having been unequivocally rejected by the majority of the population of the Empire, notably by the Oromo and Amhara nations, as well as the Sidama, Somali, Benishangul-Gumuz, Gambella, and many other oppressed nations of the country, the predatory Tigre ruling cliques have resorted to the most primitive and genocidal tactics of divide and rule. The most vivid manifestation of this has been the creation of special police forces known as Liyu Militia within each oppressed nation with two core purposes: (1) spy on any form of political dissent within each oppressed nation and crush them with brute force; and (2) instigate conflicts with the neighboring sisterly oppressed nations to prolong the TPLF dictatorship. The Dictatorial and Predatory Ethiopian TPLF Regime Will Never Succeed in Instigating Conflicts Between The Sisterly Oromo And Sidama Nations! Instead of answering the legitimate question of the Oromo nation by granting them their inalienable democratic rights to self-determination, the TPLF regime embarked on desperate measures to cling onto illegitimate political power. It has also monopolised the economic aspects of the entire country. The political aspects in Oromia alone included, brutal massacre of over 1,500 peaceful Oromo protesters since 2015; mass imprisonment of over 60,000 Oromo civilians; imprisonments of the entire leadership of the Oromo Federalist Congress including the renowned Professor of Political Science, Marara Gudina and prominent politician, Bekele Gerba, as well as a dozen Sidama political activists including a prominent business person, Solomon Naayu, and Dawassa Daaka, most of whom are languishing in Qilinxo prison today. The Sidama and Wolayta Nations Should Reject TPLF’s Divide-and- Rule Tactics. The Tigray Peoples Liberation Front (TPLF) which usurped political power by military force in 1991, continues to undermine peace, democracy and economic development in Ethiopia. It continues to stifle political participation and basic human and democratic rights among all oppressed nations in the country. After the Oromoand Amhara uprisings in 2015 and 2016, the TPLF regime imposed state of emergency under which it continues to commit abominable atrocities against the Oromo and other nations in the country, whilst the West’s politicians remain obliviously sponsoring TPLF regime, thus doing little or nothing. Article 49 (5) of the current Ethiopian constitution recognizes the Oromia’s special interest in Finfinnee (Addis Ababa). According to these rights, Oromia should have had the said interests honored, decades ago. However, in the past 26 years, TPLF’s regime has repeatedly denied these and the other fundamental rights; instead displacing tens of thousands of Oromo peasants from the environs of Finfinnee and the other neighboring villages and districts, as the capital rapaciously expands. Tens of thousands of Oromo civilians have been murdered by the security and armed forces of the incumbent for demanding these rights to be honored. Tens of thousands become destitute beggars in their own ancestral lands; whereas TPLF and its affiliates exponentially increase their wealth in Oromo land, including in Finfinnee..
15 years ago, TPLF government issued a brazen order to relocate Sidama administration from Hawassa city to another town to take full control of the city which had been cultural, social and administration center of Sidama people for centuries. This daring order created shock and anger among the Sidamas. In response, thousands of Sidama people, from all walks of life planned to stage a peaceful demonstration demanding the reversal of this illegal decision. demonstration day was then set to be May 24 and the demonstration to kickoff at Loqqe village which is located at outskirt of Hawassa city and to be concluded at city's main square later on that day. In the meantime, the TPLF regime which subjugated the Sidama people to this date, was scheming not only to give the Sidama people a lesson, but beyond to anyone who dares to resist its expansion policy by controlling economic and social institutions in the country. The regime had been committing calculated cold blooded killings of innocent Ethiopian before, but no one was even thinking the government that otherwise supposed to care for people was about to committee mass murder in such scale in broad daylight. This type of massacre has now become a signature of this murderous regime. The Executive Committee of the People’s Alliance for Freedom and Democracy has conducted its second regular meeting from March 28-29, 2017. 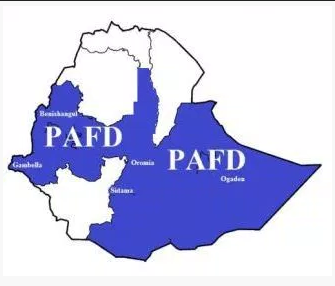 It is to be noted People’s Alliance for Freedom and Democracy (PAFD) is the alliance of five political organizations- the Benishangul People’s Liberation Movement, Gambella People’s Liberation Movement, Oromo Liberation Front, Ogaden National Liberation Front and Sidama National Liberation Front. The Executive committee heard the report on PAFD’s activities presented by the chairperson and briefing by PAFD Bureaus; in addition, each member organization briefed the EC about their individual activities. The EC, after hearing the report and the briefings, thoroughly discussed items of the agendas set for the meeting. The Ongoing Massacre of Oromo Civilians Never Resolve EPRDF/TPLF’s Inherent Malice! 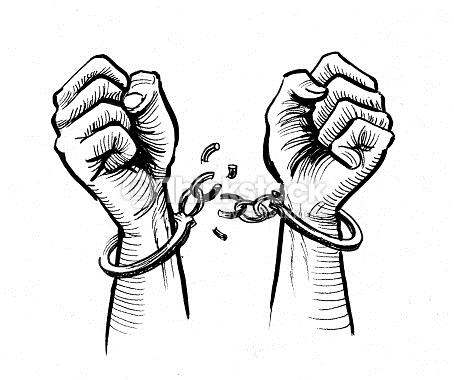 Since capturing the state power a quarter of a century ago, the TPLF/EPRDF dictatorial regime has monopolized the political governance and embarked on a project of fear, dehumanization, depersonalization, exploitation of peoples’ lands and wealth for its benefit, and systematic enslavement of the citizens of the country. Often changing its color like Chameleons, TPLF/EPRDF has proved its expertise in cheating, deceiving, stealing and more importantly brutalizing its subjects at an unprecedented scale. The regime has maintained its grip on power with barrel of gun terrorizing its subjects day and night. During TPLF/EPRDF 26 years of tenure, it became clear that the grotesque nature of the regime is multilayered and deeper than any person can comprehend. Ella 24 ni 2002 m.d, sidaamu daga kadonsa ku'litara daronna bandeera amadde looqqetenni ka'e hawaasira tintanna Itophpheyu mangistenni hajajantino uridenni duuchchu manni luubbonsa hooggino, mitoho mannimansa gawajjantino, mitu usurantinno,wolootu loosunni shorrantino.Ikkolana kayini xa geeshsha halaalu yoo diamantino. Copyright © 2018 Sidama Liberation Front.